As one of the leading Sunroom and pool enclosure builders in Georgia, we have mastered the art of creating breathtaking patios and unique practical pool enclosures. We are the best in what we do because that is what we have been doing since 1988. 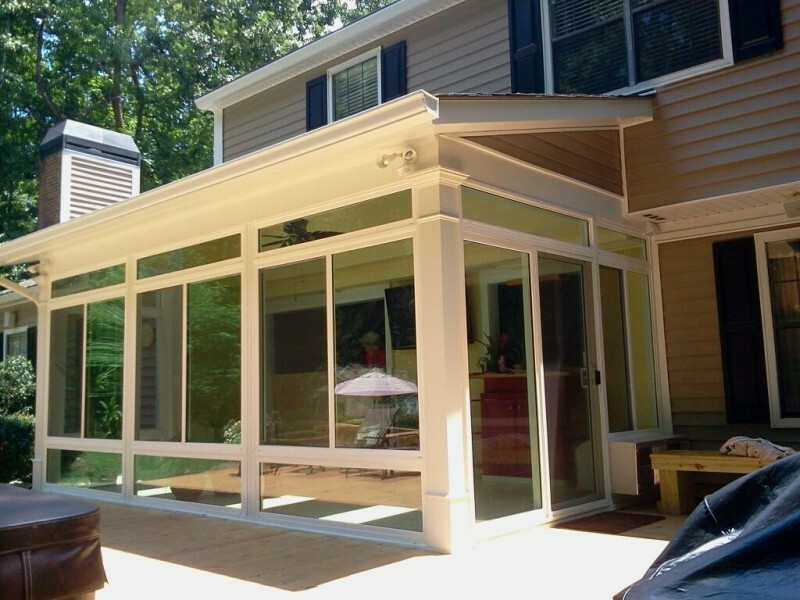 With years of experience under our belt, we know the aesthetic aspects as well as the technicalities of building sunrooms, patio, and pool enclosures. That is the reason we are always able to deliver results that are a perfect fit for your expectations, your needs, and your budget. Think You’ve Got a Unique Need? At DC Enclosures, our skills are as good as your imagination. However, if you are not sure about the best decision to make, we can always offer an out-of-box idea that is unique, creative, and budget friendly. With a team that holds years of experience in this industry, we know what works and what will work. That is the reason we are able to carry out creative experiments, without running the risk of overrunning your budget. However, it is not just the budget we care about! We more than welcome challenging projects where space is an even bigger constraint. Over the years, we have managed to create the most magical transformations in even the most limited space. DC Enclosures specializes in all kinds of glass structures, from skylights to sunrooms to pool enclosures, and more. If you have a storm damaged sunroom, a solarium you need re-glazed or resealed, or you just want to upgrade an old and ugly polycarbonate roof on your pool enclosure, call us for an estimate at 770-514-7019. As industry leaders, we are well aware of the true value of well-built patio, sunrooms, and pool enclosures even if you aren’t. Properly built, these are the amenities that provide joyful experience as long as you keep the premise, and add value to the deal when you decide to sell it. This means, DC Enclosures is offering you nothing less than the best of both worlds! So what are you waiting for? Explore our product range to learn more about your options, or call us at 770-514-7019 to discuss your needs with our consultants. 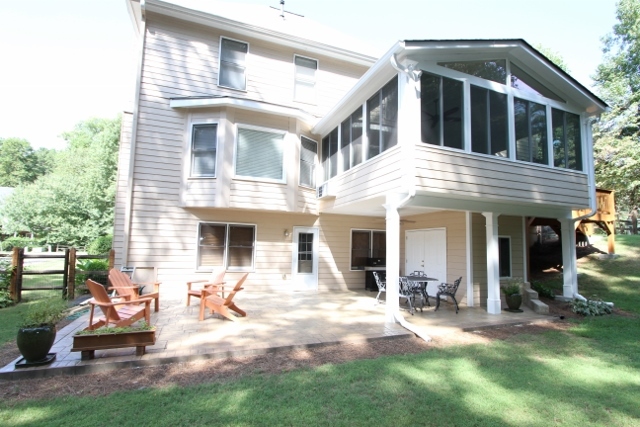 From an old deck to a year-round Patio Enclosure with an updated downstairs patio and a storage room! Our client contacted us to transform their backyard to a more usable space for family entertaining and a space for storage. DC Enclosures came in and did a major overhaul of the backyard. Great job! We love our new sunroom!! The craftsmanship is great. The installers were very detail-oriented and the sunroom looks like it was built with the house.